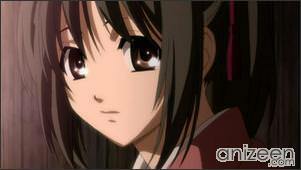 Chizuru Yukimura, is the daughter of Kodou Yukimura, a doctor who works in Edo. Her father leaves Edo to work as a volunteer doctor and moves to Kyoto without her. 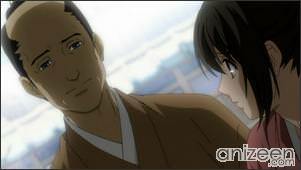 As time passes by, Chizuru starts worrying about losing contact with her father, so, she decides to go to Kyoto in search of him. 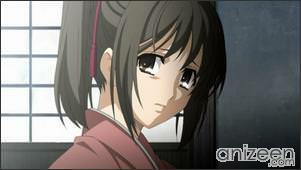 Chizuru disguises as a boy and departs to Kyoto. 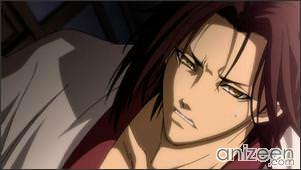 On the way, Chizuru is attacked by a few criminals and witnesses a fight between a demon and the Shinsengumi group. 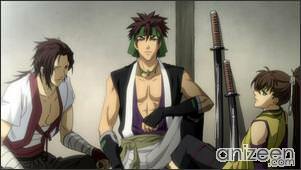 After saving her and taking her into custody, the Shinsengumi debate on what to do with Chizuru. At that moment, they discover that she is the daughter of the same doctor they are also looking for. 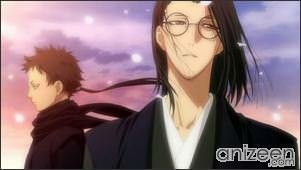 In the end, the Shinsengumi group members decide to become Chizuru’s protectors and help her look for her missing father. Lots of events happen while she stays with the Shinsengumi, as they discover mysterious secrets and also fight against the Bakumatsu group. Chizuru Yukimura is came to Kyoto to look for her missing father, Kodou Yukimura, a Dutch-educated doctor who is skilled in Western medicine. Her father is the one who, on orders from the Shogunate, developed the “ochimizu”, a potion which increases the drinker’s healing abilities, speed, and strength but which also possesses the unfortunate side-effect. Chizuru herself also has a secret. 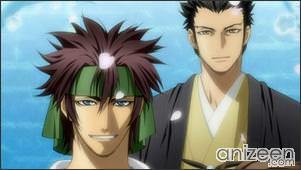 Toshizo Hijikata is the vice-captain of the Shinsengumi and makes most of the Shinsengumi’s decisions. He is called “Oni-fukuchou” and is both feared and respected by his men. 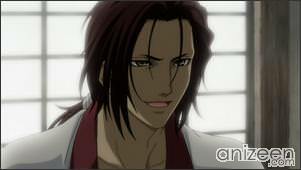 Hijikata is the one who brought Chizuru back to headquarters and is responsible for her welfare. 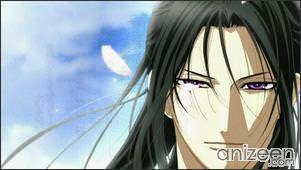 He is based on the historical Hijikata Toshizou. Isami Kondo is the commander of the Shinsengumi. He is very emotional and cries easily. Despite this, he has the trust, respect, and loyalty of his men. 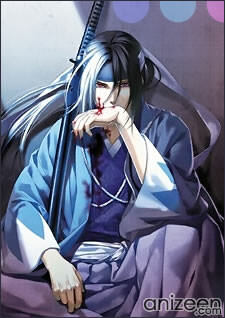 He is based on the historical Kondou Isami. 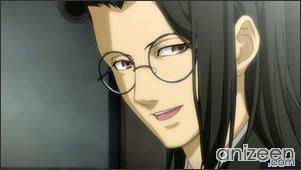 Keisuke Yamanami is also known as “Sannan-san”, he is the bespectacled captain of the Shinsengumi. Both a scholar and a ruthless tactician, he is kind and caring, albeit a bit reserved. After an injury which resulted in him being unable to use his sword arm, he has become cold and suspicious of others. 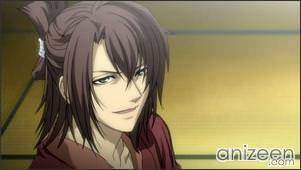 Hakuouki: Shinsegumi Kitan (薄桜鬼) is ased on the popular otome game of the same name developed by Otomate. There are two manga adaptations. 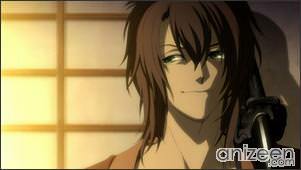 The first, entitled Hakuouki Jurenka, is serialized in the shoujo manga magazine Dengeki Comic SYLPH, and is an anthology of the different endings available in the video games. Another adaptation is currently serialized in Comic B’s Log Kyun!! An anime adaptation by Studio DEEN began airing in Japan on the TV Tokyo network on April 4, 2010. Looks interesting? Is it good?